As Director Colin Brown leaves the Harrowden Team and enters the realms of retirement, we look back at his 36 year career in farming and turf production. 36 years ago, aged just 29, Colin Brown came to farm on Feltwell Fen in Norfolk. Any Norfolk-man will tell you that fens are a challenging environment in many ways. The soil behaves differently to any other soil type. The drainage system is “interesting”. The wind whips across the fields like nothing on earth and the people have a culture all of their own. A steep learning curve for a young, green farm manager and his wife. Over the years, with different owners, farming policies and sales of land; the original 3 dairies and piggery have been replaced with a variant of arable crops and the acreage has changed considerably. 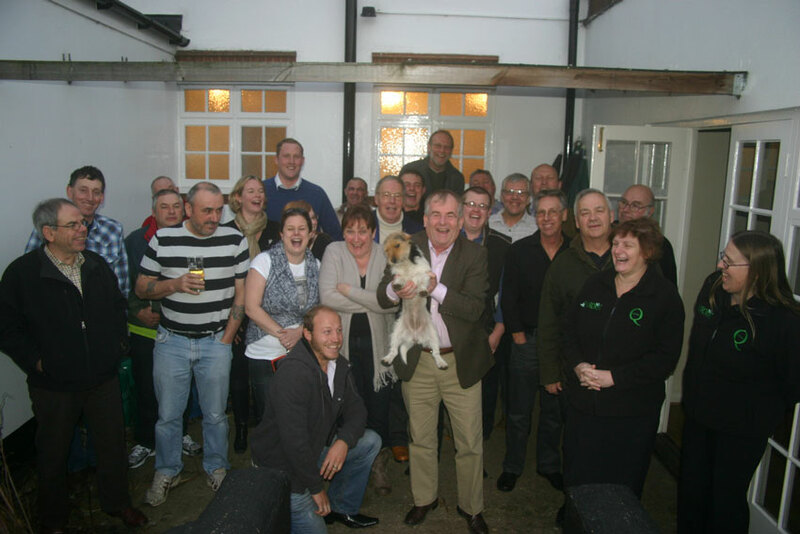 A move from subsidised crops led Colin into the realm of turf growing and Q Lawns was born. Later to be joined by Enviromat sedum matting for the green roof industry and Meadowmat wildflower turf for landscaping and gardens. How does Colin feel about his retirement? Can Colin Brown ever truly be replaced? Stuart Ridd-Jones, Financial Director at Harrowden Turf summed the situation up beautifully. “Luckily, with the timely aquisition of Spearhead Turf, we now have Tim Cannon on board. TIm is a very experienced turf production manager and going foreward he will be overssing the production side for the Feltwell-based turf operation.” Stuart added. “Tim will also have the support of Colin’s legacy of experienced staff who will assist the the transition”.